It was doing a few races in the 2CV cars that made me realise that more outright speed does not necessarily equal more fun. 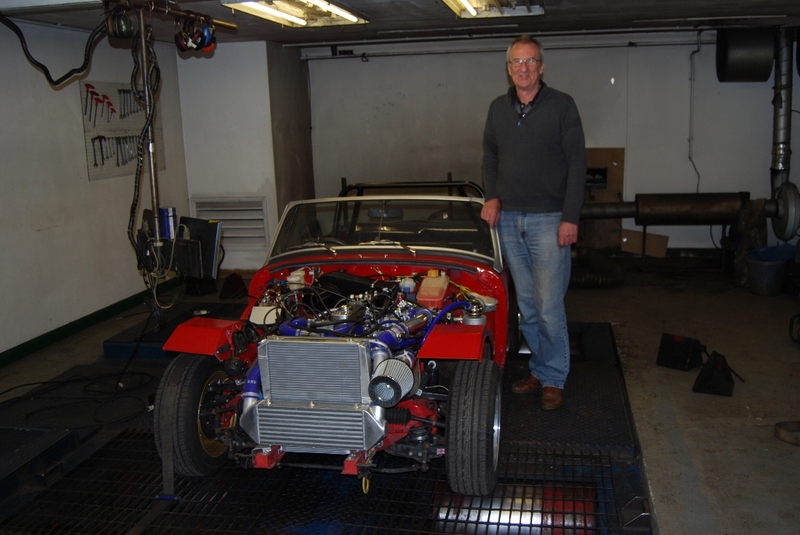 Yes, it is great to race a Caterham but it comes at a price – one that not all of us can afford to pay. But there are alternatives, like the 750 Club’s Locost series. 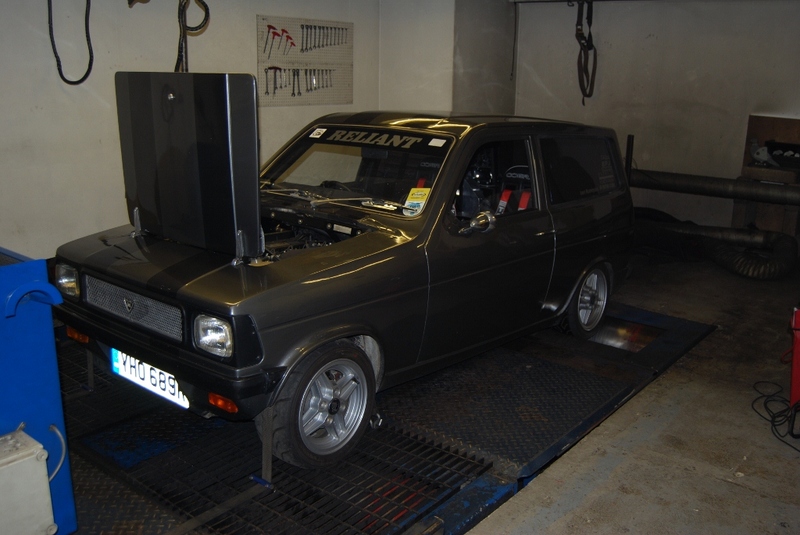 I regularly do a few cars for Ian Gilmore at Procomp Engineering, that run in the Locost races. The cars feature Ford 1300cc Crossflow engines with stock gearboxes and no diff. You could argue that it takes more skill to get a Locost to the front of the pack than a big money Caterham. I certainly remember following Mark Hales around Snetterton, he in a Locost with almost 90 bhp and me in a Seven with 160 bhp. I couldn’t stay with him once we got into traffic – just didn’t have his race-craft. The car in the pics here is on a carb that Ivan spends hours preparing, plus a basic ignition with a dizzy. Nothing high-tech but it is the same for everyone and if you want to run at the front you still have to put in the effort on the rollers. It actually takes forever stopping the engine, changing jets, unlocking the dizzy and peering at timing marks, but that’s how it used to be before computers. I think I have just gotten lazy over the years. If you want to race a Seven type car on a budget this could be the series for you – but don’t run away with the idea that it’s easy or that you don’t have to put in the effort. Third time lucky! The midget in the pics finally came good on the turbo A Series engine after two false starts. 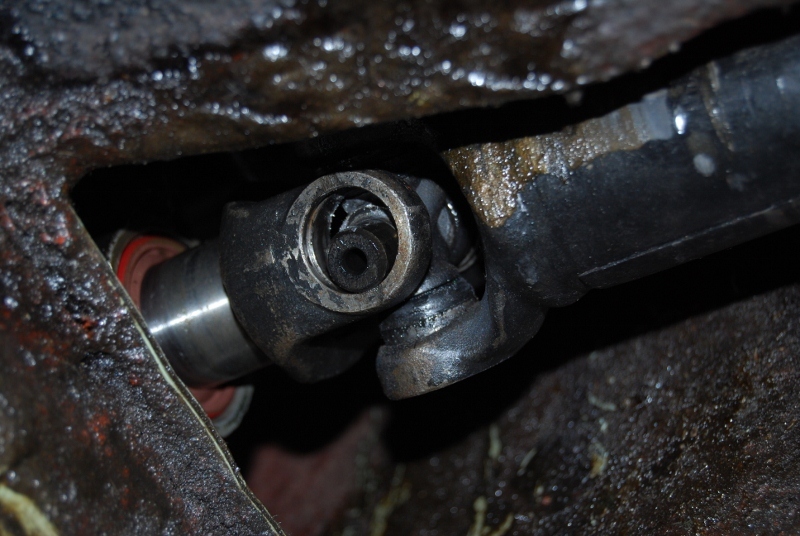 The problem was the injector position. 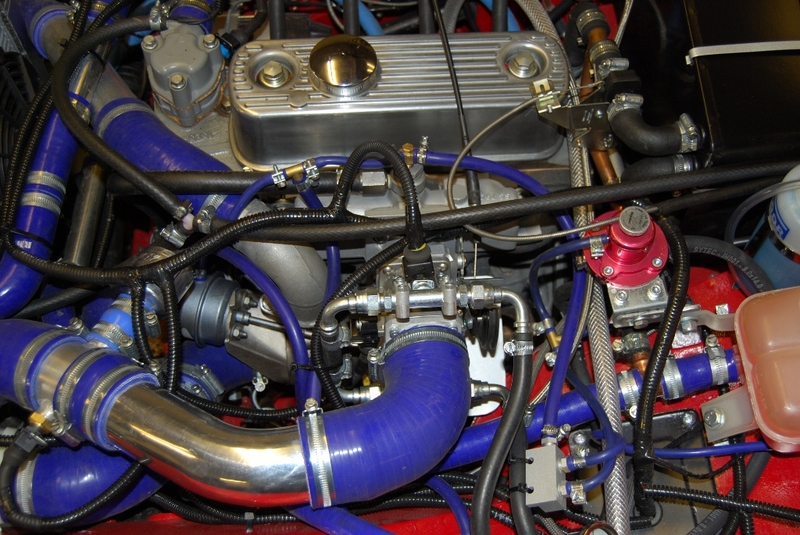 If you want a big power A series you either need a carb, or a throttle body that the engine thinks is a carb. See www.emeraldm3d.co.uk for the full story, I don’t want to bore you with it now. 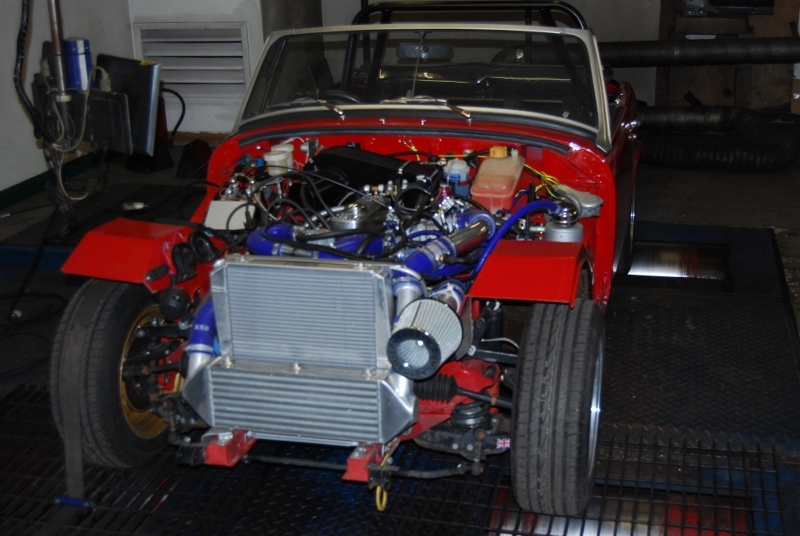 Another way to get even bigger power than a turbo in your Midget is to fit a K Series 1800 engine. 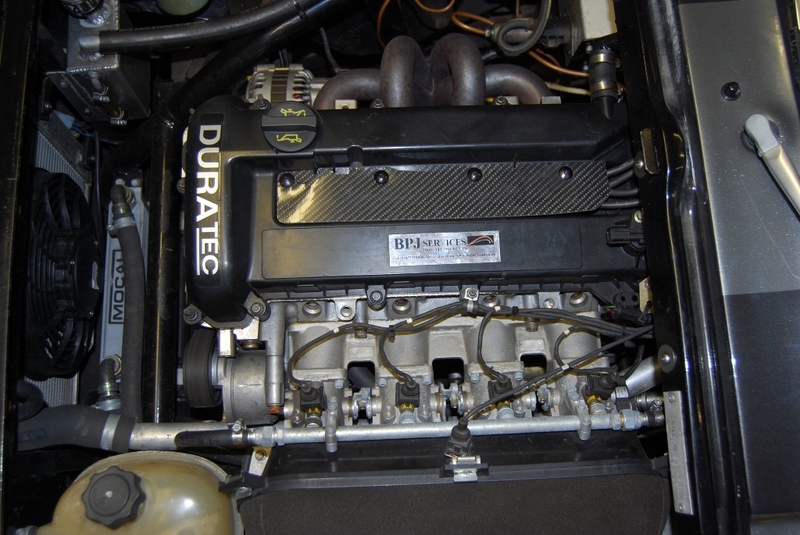 I know it isn’t terribly traditional to have a 16 valve injected engine under the bonnet of a Spridget but it seems to make them go okay – as long as you uprate the rest of the car. This example had a bit of a schoolboy error in that it was impossible to get full throttle. There simply wasn’t the pedal travel available. 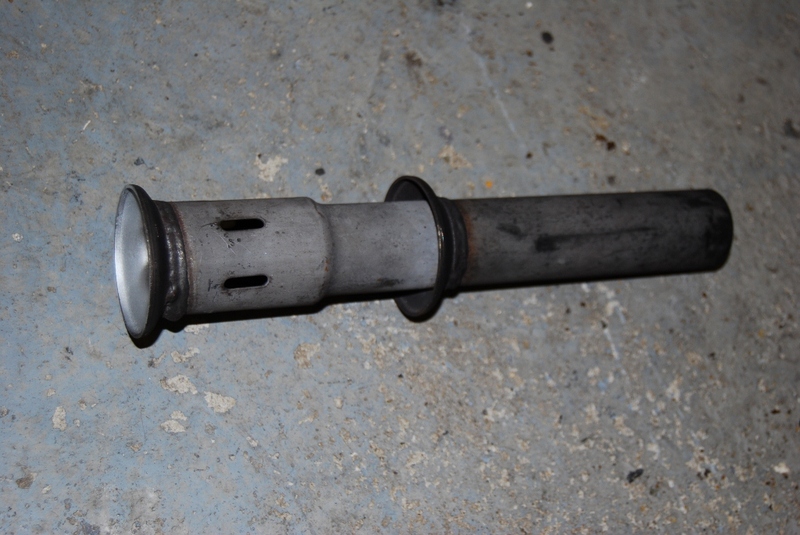 Rather than put off the mapping I made up a little hook from welding rod. Young Jono did the driving and I “applied” full throttle by hooking around the throttle lever and heaving it upwards. Jono gave me the nod at peak rpm and I let off the throttle as he dipped the clutch...yes I did lower the rev limit before we started! DVA did the engine and he reckoned it would be good for 185 bhp. Typically for Dave Andrews it did a bit more than 190 bhp plus and it will gain as the engine loosens up with more mileage. We often see a 10 bhp gain after about 5000 miles or so of running. This does not alter the mapping, you are just making the engine loser with running in - the fuel and spark timing are not altered at all. Some people are pretty nervous when they come here for mapping. 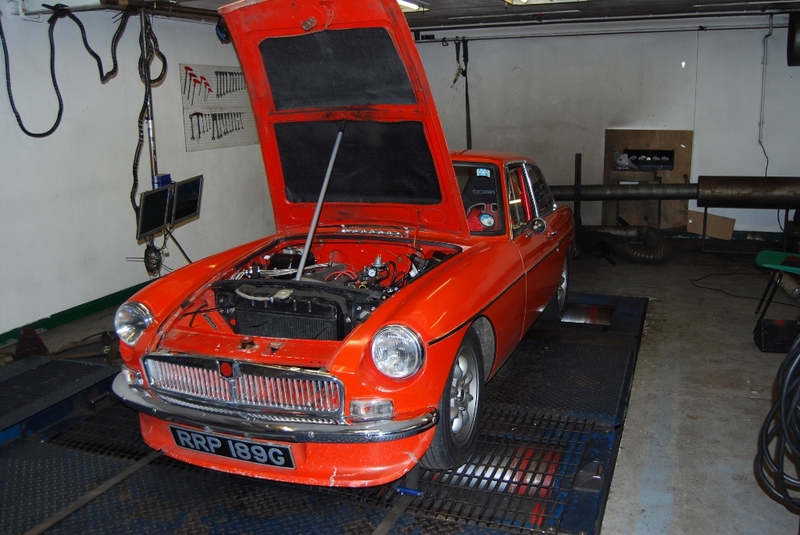 The MGB owner was perhaps more nervous than most because this was his first engine conversion to his MGB, having fitted a Duratec engine and five speed gearbox. Personally I am always pretty relaxed, I have seen it all before and the problems are fixable 99% of the time. We got down to mapping with the owner hopping from foot to foot, going out, coming back in and generally looking worried. “Stop worrying” I said, “nothing is going to go wrong” – and then it did. At about 110 mph there was a big bang and the room filled with smoke – never a good sign. Said owner ran out the room and collapsed against the wall, he was doubled over and I really thought he was going to be sick! Up on the ramp the damage was clear. The cup with the propshaft needle rollers had fallen out (we found the spring clip later) and the resultant “whip” had pulled the back off the gearbox case off! 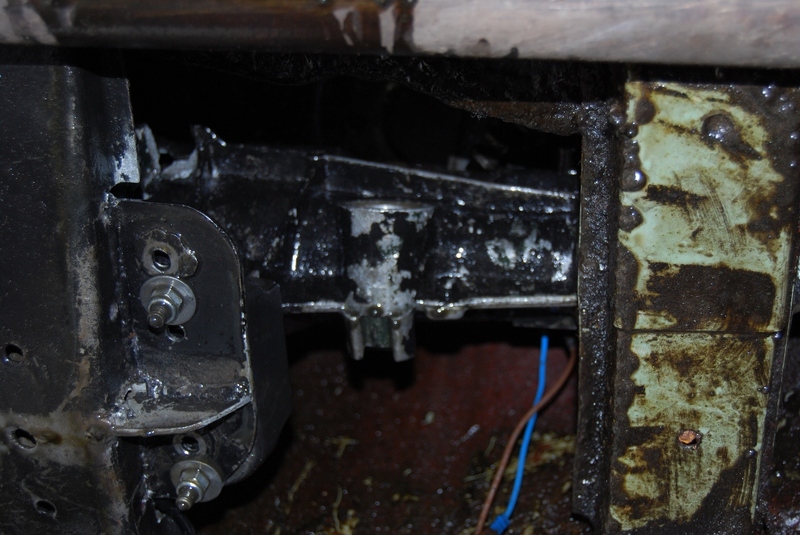 It seems like the owner had been taking the shaft apart to use the front as a bung and (probably) hadn’t seated the spring clip properly. We stored the car for a few days until it could be recovered and the next time we see it I will keep my mouth shut about nothing major ever going wrong. After nearly 20 years of running the rolling road I have finally worked out why we never have time for our own projects: it’s because we keep taking on other peoples projects. Already up to our ears in development, I let someone talk me into doing the Yamaha “big bang” engine. This is a weird piece of kit with the four cylinder crankshaft twisted though 90 degrees so that it runs a bit like two 90 degree V-Twins linked together. You never get two pistons at TDC at the same time, so wasted spark is not on. It has four coils that have to be fired sequentially and in the right phasing. Basically the idea is that you get a few “bangs” and then the rear tyre is left alone to recover the grip, then another few bangs – and so on. The exhaust note is really weird but it seems to work in terms of traction on the track. 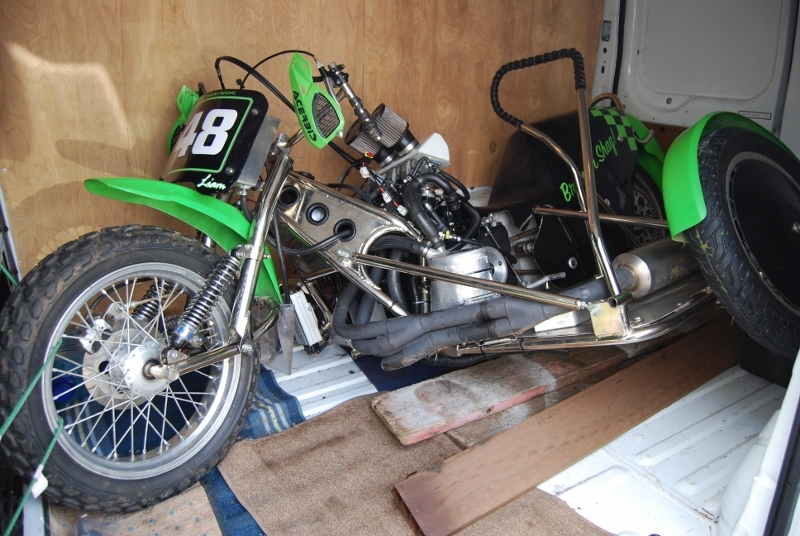 This example is a grass track outfit, incredibly specialised frame and geometry – it certainly would not be possible to drive it on the road. One of the things I still desperately need to play with is exhaust pipe lengths and configurations. My experience is very limited in this area and I know there’s a lot to be gained (or lost) in the exhaust system and silencer department. We had a little play on the rollers recently with a 2.3 Duratec making 265 bhp but with a seriously noisy exhaust. Second silencer helped a lot with noise and lost very little power, but just in case we tested a “Decibel Killer” that simply slips into the tail pipe for track day use. It certainly made the engine quieter but looking at the power curve we had lost 30 bhp! Most of this was at the top end of the curve, just where you don’t want to lose it on a track day outing. It is back to the drawing board on that one then. Somewhere in this issue I believe there is a big spread on the David Vizard seminar on engine building that is taking place at Swansea University. David has asked me to go along and give a talk on mapping so I am looking forward to meeting a few readers there and possibly exploding a few myths on mapping practice here in the aftermarket.